In the past few years, American moviegoers have seen a surge in the number of 3D films. The unprecedented success of Avatar, James Cameron’s science fiction blockbuster, makes it likely more 3D films are to come. Though Avatar is groundbreaking in terms of its digitalized, visceral world and pseudo-organic alien creatures, the three-dimensional effect that immerses the audience into this world has been seen in movies on-and-off for the better part of the last century. Yet the third dimension has not yet become an established part of the moviegoing experience, as have other 20th-century innovations: namely, sound and color. 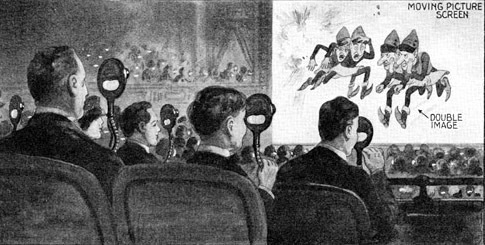 One of the most fascinating, and now largely forgotten, early manifestations of 3D was the case of the Teleview, an experiment in three-dimensional viewing that occurred for one month at a single New York City theater in 1922. The failure of the Teleview to ignite the 3D novelty was caused by its exhibition of Roy William Neill’s second-rate film The Man from M.A.R.S. (aka M.A.R.S.) combined with audience resistance to changing their viewing experience. This was not the first commercially released 3D feature; the now lost Power of Love, played briefly in Los Angeles in September 1922. But M.A.R.S. is considered the first “true” 3D feature in taking advantage of the viewer’s persistence of vision with alternate frame sequencing. Griffith’s concerns were immediately realized. His support of the technology seemed to legitimize the novelty too quickly for audiences. Without “a period of preparation,” people were unable to fathom or accept a possible new form of movie watching. Though still weeks away from the Teleview premiere, so many people had written to the Times expressing confusion and suspicion — indeed, irrationality — about the new technology that another article was printed discussing the Teleview. Readers felt the technology could not exist and that such a device would “cut off too much light.” The author of the piece, frustrated that “correspondents did not see the article on stereoscopic pictures printed in this column on Oct.22, which occasioned Mr. Griffith’s interview,”8 rewrote almost the entire Oct. 22 article, showing that it was the Teleview that would create this effect. After again explaining how it creates a 3D moving picture, the author urged patience from his readers.9 It seems there was already a growing resentment about changing the way people watch movies, yet these people had yet to see the Teleview — or, in some cases, even the article describing it. 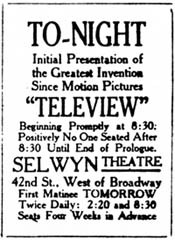 On January 20th, less than a month after premiering for an “indefinite time” at the Selwyn, the Teleview was pulled from Broadway. On its final day, the theater held an event called “Thirty Years of Motion Pictures,” which began with a showing of The Great Train Robbery and ended “with an exhibition of the Teleview pictures.”21 This event, though marking the end of its run on Broadway, continues to compare M.A.R.S.with movie classics that history has remembered, even after the hype had faded. But, as advertised, M.A.R.S. was essentially reduced to a Teleview picture. But was it the technology or the film that moviegoers were rejecting? 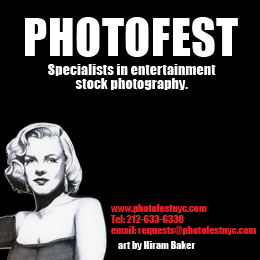 Fortunately, there is a way to separate the film from its technology. Six months later, M.A.R.S. would be rereleased in normal 2D, a strategy that the makers of the Teleview had noted as a possibility if the system proved unsuccessful. The film was also renamed Radio-Mania, a title that reflected the surge in radio broadcasting that swept across the country in the early 1920s. 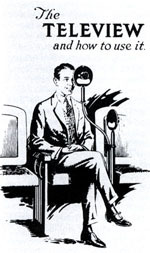 Susan Douglas, in her book Listening In, claims that, by 1922, “radio phoning [had] become the most popular amusement in America.”24 Radio, like 3D films, was a novelty in that decade. Many people would tinker with their ham radios as a hobby. Furthermore, some would even try to use radio to contact “The Ethereal World,” — or as Douglas notes, “otherworldly contact;”25 magazines even sponsored “How Far Have You Heard”26 contests. 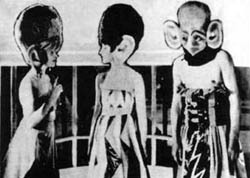 The plot of M.A.R.S., or Radio-Mania, incorporates these fads: it is about a “Radio nut”27 who makes contact with “otherworldly” Martians via radio waves — only to wake up and find it was all a dream.28 Advertisements of the film, aimed at exhibitors, stated, “Every day thousands of dollars of publicity space is being given in this country on Radio, the most widely advertised subject of today,” thus giving the movie “selling possibilities that place it at once in the class of sure money-makers.”29 Just as it had exploited the 3D effect to enhance its Martian terrain, so was M.A.R.S. resold to the public as a timely exploitation of the radio craze. Though the film’s release was briefly noted in the Times,30 30 it did not generate the buzz that its 3D counterpart created. The film would never again appear on Broadway and would be relegated to obscurity — just like the Teleview. The mediocrity of M.A.R.S. and the disagreeable viewing experience of the Teleview failed to establish 3D as an integral part of moviegoing, and only time will tell if, in the wake of new technologies and, particularly, the “perfected” naturalistic 3D of Avatar,31 the third dimension will join sound and color as a standard feature of the cinema experience. Henry William Francis Rownd is a first-year student at Carleton College in Northfield, Minnesota. He plans to major in Cinema & Media Studies and wrote this article for a film history course, researching primary documents on microfilm from studio-era Hollywood.